Britain’s smallest breed of cattle - the Dexter, has once again attracted a big entry for the fourth show and sale at the Rare, Minority and Traditional Breeds Sale at Borderway Mart, Carlisle, on Saturday September 21. The sale conducted by Harrison & Hetherington has an entry of 44 registered and 17 unregistered and commercial Dexters of which 16 are entered in the show with a varied selection of bloodlines. In 2012, Dexter bull Harron Loyal Commando sold for £2,000 at Carlisle to top the Rare, Minority and Traditional Breeds sale. Put forward by Veronica Schofield of Beckside Farm, Carlisle, he sold to Burnside Dexters, Burnside, Ascog, Isle of Bute. All cattle will be independently inspected by Dexter Cattle Society inspectors who will be available at the event to offer advice to new purchasers. The show judge, County Durham breeder, Ian Emmerson, will be presented with classes of bulls, cows and heifers. A versatile, dual purpose breed of cattle, the Dexter is the smallest breed of British cattle and it originated in the south west of Ireland, yet it is only relatively recently that there has been renewed interest in the cattle in Eire. 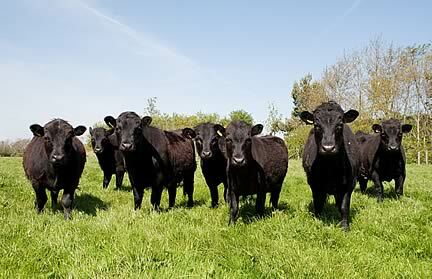 First introduced to England in 1882, they were in demand by landowners who wanted small cattle to graze their parkland. These included Edward VII who was president of the recently formed society from 1901-2 as well as Lady Lonsdale, wife of the “Yellow Earl” at Lowther near Penrith. Today society membership is probably at its greatest with over 1,200 members in the UK and Eire. In 1977 there were 134 pedigree female registrations during the year with 70 on the grading-up register, plus 11 bulls. In 2010 the society registered 2,328 female calves and 129 breeding bulls with a total of 22,183 live females on the database. The breed appeals to the growing number of part time farmers and Dexter beef is fine grained, well-marbled with a great flavour. The beef has been featured on numerous TV cookery programmes in recent years and producers have been adept in developing their own niche markets for the meat through farmers’ markets, farm shops or freezer packs direct from the farm. The easily managed breed has partly sold itself and while the majority of producers have smaller acreages, some herds now run into the 100s. The breed’s resurgence has been one of the Rare Breed Survival Trust’s success stories, moving from its endangered list 30 years ago. But it has also benefited from a forward-thinking society which has been heavily involved with issues including improving health, conformation and genetics and is now actively marketing the beef via its website.